The instrumental post-rockers Krobak are to give their final show this Sunday, on April 29. 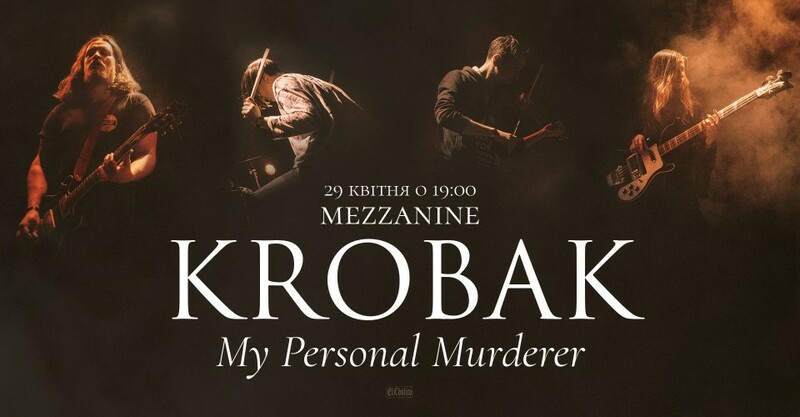 According to the band’s frontman Igor Sidorenko, after this gig, which is to take place at the Mezzanine club in Kyiv, Ukraine, will Krobak will go on "an indefinite hiatus". "Hey everyone, Igor's here. It hurts to tell you that our concerts in Odesa March 24 and Kyiv April 29 will be Krobak’s last before an indefinite hiatus. Krobak 2.0 as a full band has existed for six years, and in this short span the quartet managed to release two full-length albums, a split and a compilation, tour in Europe twice and play dozens of concerts in Ukraine – solo, festival sets or opening for more acclaimed bands. The logical way forward would’ve been reaching new heights in terms of music, art and everything else. But I have to admit that at this stage in my life I can’t commit enough time to Krobak, and I won’t be able to actualize the creative leap that it needs. Leaving the project half-dead playing shows once a year would’ve been unfair to the people involved and to Krobak itself, since it’s long since outgrown its side project status, the post-rock genre and other conventions. “If you can’t do it well, then don’t do it all”, amirite?.. Anyway, we’d like to express our deepest gratitude to everyone who supported us throughout these years, you people are awesome! To those who have wanted to try on our T-shirt, buy a CD and/or a vinyl and hear us live, but hasn’t yet – your last chance is March 24 and/or April 29. What’s next for Krobak is unknown." The cost of tickets for the concert is 150 UAH. More information can be found on Facebook. Below is a video from the first Krobak live show with performing the track "And there by the River I lost my Glasses". Interview with Igor Sidorenko: "It’s better to work on the result than to visualize yourself stadiums"